Martinis, Rob Roys, Manhattans, and Cosmopolitans are classic drinks that are usually served in an “up-glass”. While not all recipes are the same, we all have our preference on how we like them. For example, with martinis some might like only or vodka; or very dry; others dirty, and others with more or less dry vermouth. 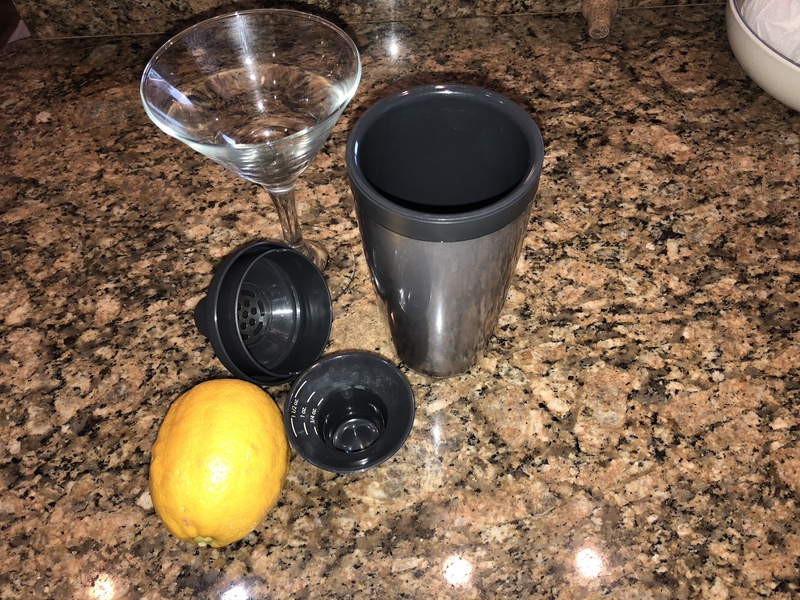 The Oxo shaker is cleverly designed with a lid that also servers as a 1 and 1/2oz measuring device. Since I like martinis on the dry side, I can easily fill it to the top with 1 and 1/2 oz then, add 1/2 oz of vermouth without having to reach for another shot glass or jigger to measure. 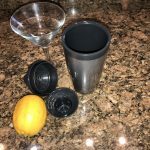 The Oxo shaker is an all-in-one cocktail maker. Just add ice and the ingredients and you good to shake and pour. The other thing that makes the Oxo the best cocktail shaker in my opinion is the way it is made. The quality lids fit together snugly, but not so tightly that they are hard to put on. Unlike my stainless steel cocktail shakers, there is no risk in the lid popping off or the container slipping out of your hands. Another hidden benefit of the Oxo Good-Grips Cocktail Shaker is that the double-wall construction serves as a bit of a muffler. Leave the noise to the noisy bars. When you want to make a nice, quiet, but high quality drink at home this is the best cocktail shaker for you.